Philippe Parreno creates works of art that redefine an exhibition space, rather than merely filling it. 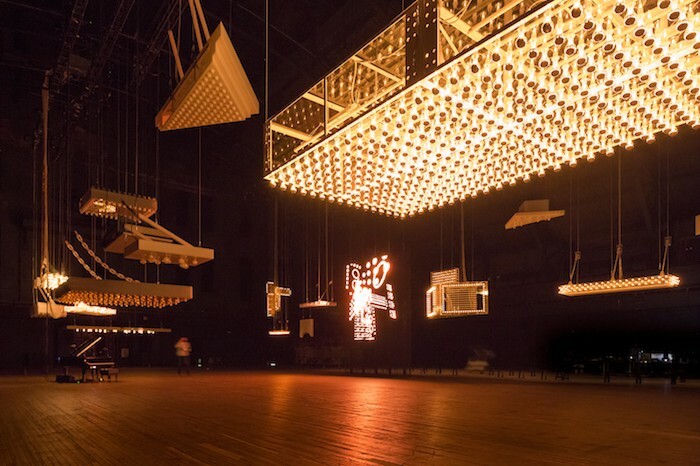 The expansive, operatic venue of the Park Avenue Armory offers Parreno a grand stage to reinvent for Hypnosis, his largest ever US exhibition. The show melds light, sound and film installations to affect a fully immersive sensual experience, including both past works from Parreno’s oeuvre and new installations. More than an exhibition, Hypnosis is a truly unique art event. On view at 643 Park Ave, New York, NY. 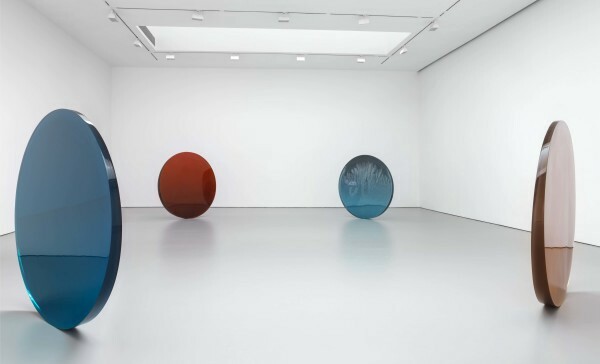 David Zwirner’s latest solo exhibition showcases the artistic growth of minimalist sculptor De Wain Valentine through the 1960s and 70s. 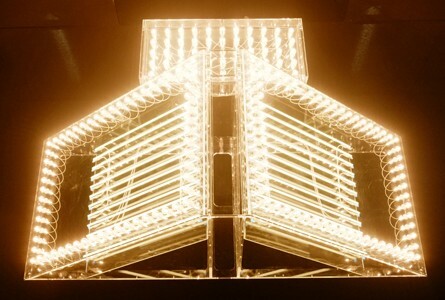 As a leading member of the Light and Space movement, Valentine is renown for his transformation of industrial, artificial materials into stunning sculptures that investigate the natural effects of light, surface and reflection. The exhibition includes several of Valentin’s large, polyester resin sculptures that present this investigation on a massive scale, complicating it by introducing questions of the structural stability below their placid surfaces. On view at 525 & 533 West 19th Street, New York, NY. Everyone knows that relationships — whether they be between two spouses, two artists or an artist and his or her work — are complicated. 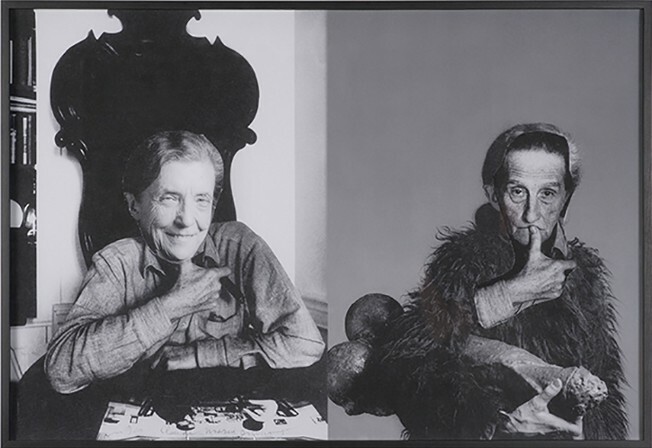 But it is this complication that makes Ortega Y Gasset Projects’ “Love Child,” examining the “intimate collaborations between artists couples,” so fascinating. The exhibition blends the artistic and the highly personal to not only glimpse into the artistic practices of such couples as Anna Gaskell and Douglas Gordon, Nyeema Gordon and Mike Cloud, and Rachel Dubuque andJustin Plakas, but also to discover what these collaborations can reveal about the intersection of love and artistic practice. On view at 363 Third Avenue, Brooklyn, NY.